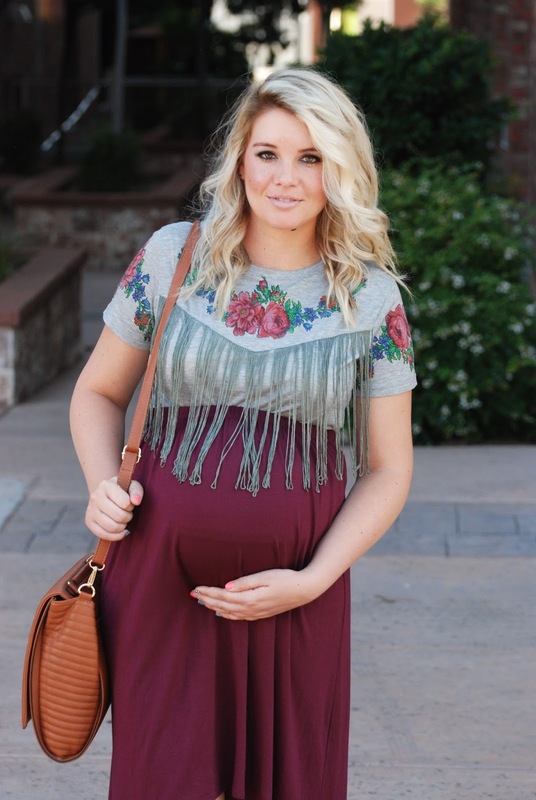 END OF SUMMER MATERNITY OUTFIT & LABOR DAY SALES! This weekend was a good one. Thank you Labor Day for giving us a day off!! Well, most of us (sorry if you have to work)! Three day weekends are just the best. I spent mine relaxing and did some maternity photos with my momma. I'm so excited to share them!! I got this shirt a little bit ago and haven't worn it because its a little cropped and ya know, belly bumps and crop tops don't really go together. hehe When I remembered I had this skirt, it was a perfect match! I'm so ready for fall it's killing me. It was 95 degrees while we were taking these photos and I am just dying to get all bundled up and wear boots! 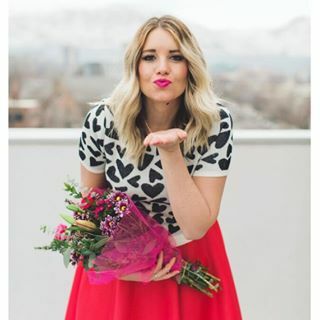 I hope your weekends were great!! Happy Labor Day!!! If you haven't taken advantage of sales here are a few going on today!! 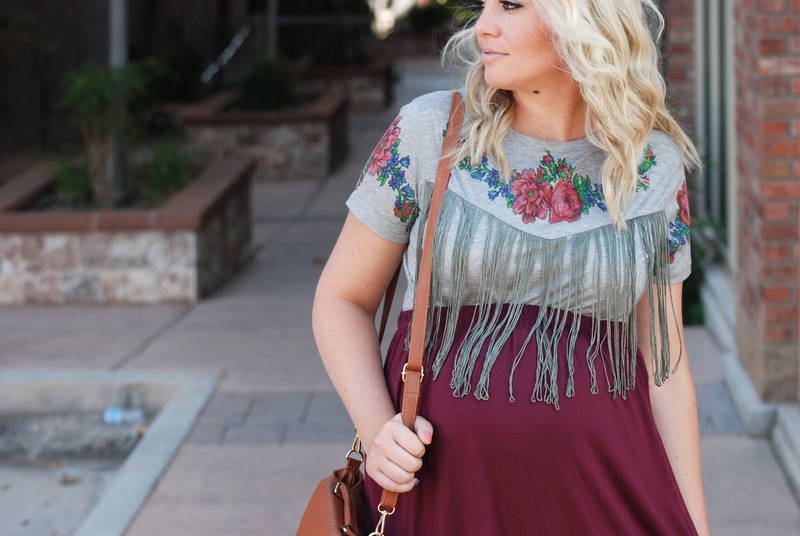 PS.. since I am loving fringe, I have shared a few fringe tops below that are so cute for fall! !